The University at Albany's Theatre Department will present a staged reading of Bill C. Davis's play All Hallowed. This work-in-progress explores the complex emotions and personal interactions of a family as they deal with a father's death and burial on Halloween. A discussion of the play with the playwright, director and actors will immediately follow the reading. 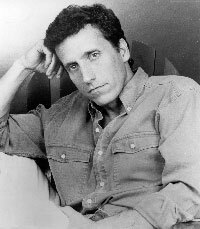 Bill C. Davis's other plays have been critically-hailed star-vehicles as well. Wrestlers, an exploration of the relationship between quibbling brothers, has been performed by actors including Mark Harmon, Judd Nelson, George Clooney, and Sarah Jessica Parker. Davis's other plays have been produced in theatres throughout the U.S. and internationally including Mass Appeal, Dancing in the End Zone, and Avow. His adaptation of Mass Appeal was made into a movie of the same name in 1984, starring Jack Lemmon. My father was buried on Halloween. My nephew, at the age of nine, was determined to go trick-or-treating that night. The convergence of my father’s burial, Halloween and my nephew’s need to go trick-or-treating offered the raw material for All Hallowed. There are elements of invention and heightened reality. The play takes place on Halloween day and night following the burial of a husband and father of three grown children. The three adult children grapple with their ambivalence about their father’s death and each other as well as several other questions. Why is their mother thinking her husband died suddenly when he had been sick for a year and a half? Why is she angry with the one son who was with her when he died? Will she, as two of her children hope, marry her husband’s best friend who is hosting the reception following the burial? What secrets did the World War II hero divulge just before he died? Who will be the new head of the family? And above all, will the family dynamics prevent the youngest member of the family, Justin, from trick-or-treating?